5th September 1917, aged 30. Son of Mrs. Julia Flower, of 3, Alma Cottages, Widcombe, Bath. 21st October 1914, aged 20. 2nd January 1915, aged 21. He was the son of Samuel & Emily Gwilliam, of Bishopstone, Bridge Sollars. Hereford, Herefordshire. 10th April 1918, aged 19. Son of Herbert and Florence Hall, of 137, Skinnerthorpe Rd., Pitsmoor, Sheffield. 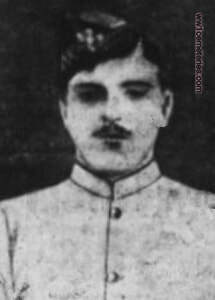 23rd October 1914, aged 20. Philip died after being shot in the head by a sniper at Chapelle d' Armentieres. Oscar Reginald Hazell, M. M.
Between 9th April 1918 and 19th April 1918, aged 22. Gris Pot and Bois Grenier. The line was just behind Hollebeque Farm. No-one alive in my family today knew of his existence. I discovered that my Grandfather had a brother purely by chance. The day after this - once again purely by chance, I came across this photograph of him. 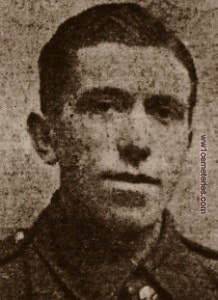 Between 9th April 1918 and 19th April 1918, aged 25. Son of Mrs. Kate Hills, of Coles Lane, Linton, Cambs. 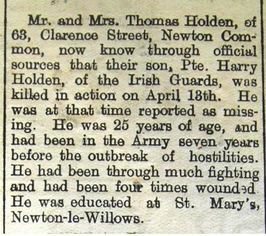 Son of Mr and Mrs Thomas Holden of 63, Clarence Street, Newton Common. 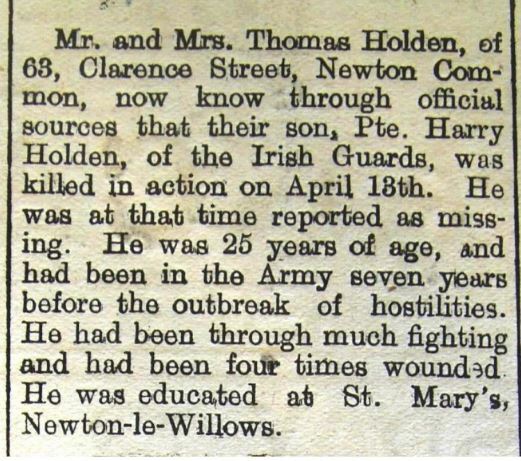 18th January 1915, aged 17. Son of Ellen Sophia Hursey, of "Northville," Court Rd., Caterham, Surrey, and the late James Edward Hursey.